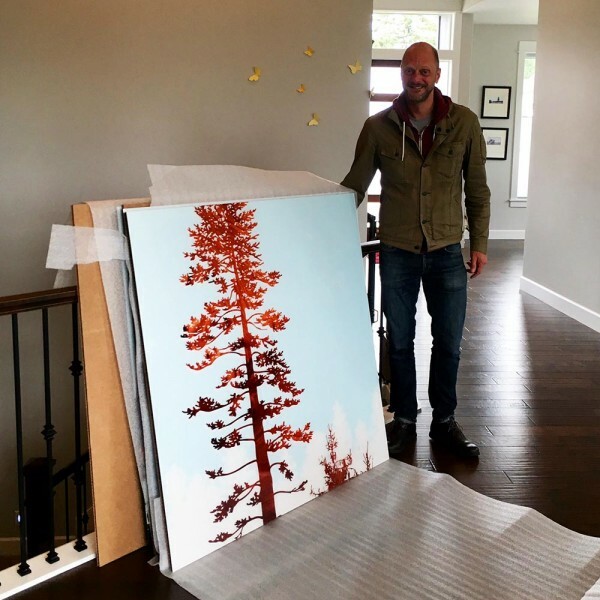 a lovely couple found my work at the columbia bank building in vancouver, wa and commissioned custom pieces for their home. 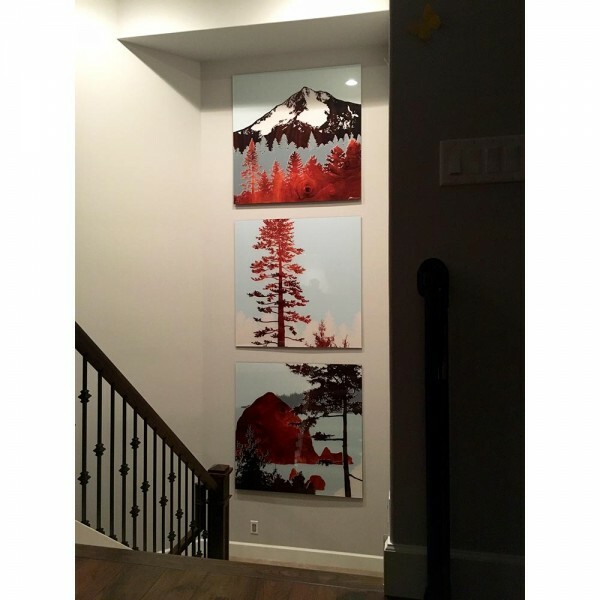 they have an impressive wall at the landing of their stairway that accomodates 3 prints, each 4×4 feet, nicely. i particularly enjoy working directly clients to create pieces that reflect their personal taste and space. the picture with my goofy looking self is to show the scale of these babies. i particularly enjoy working directly clients to create pieces that reflect their personal taste and space.